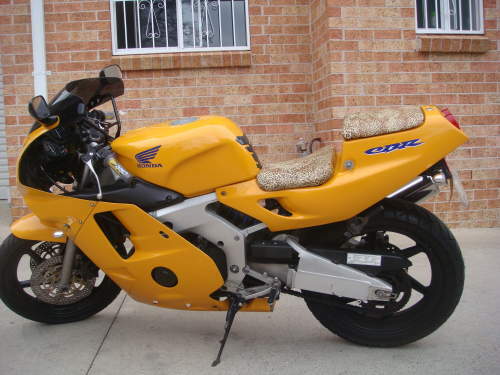 This Used HONDA CBR250RR motorbike for sale Major Service done on 08/05/08 - with receipts. Brand new sports exhaust fitted 1 month ago. Bright White headlights installed. Brand new custom leather seats fitted but still have original black seats. Very low kms. Rarely has the bike seen rain. Only ride on weekends and very well taken care of. If your looking for a very good condition and clean bike then this is the bike for you. Love this bike to death and regrettable sale.